For a map of the area including galleries involved with the crawl, Click here! ← Have you heard about TED? Hey Jacqueline! Glad that you are interested. 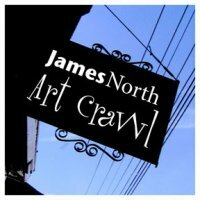 James St. N Art Crawl happens on the second Friday of every month. This month it is happening on June 11th. Check out the link to the blog, posted above, to get more information about this months event! Pop the Bubble doesn’t plan anything on a regular basis – we just grab who we can and head out to enjoy!